Akshay and Aatish used to stay in a slum close to St. Xaviers school football ground in Parel. They fancied playing football for school just like other kids! but they were school dropouts. Everyday after school games were over they used to play with their makeshift football…. 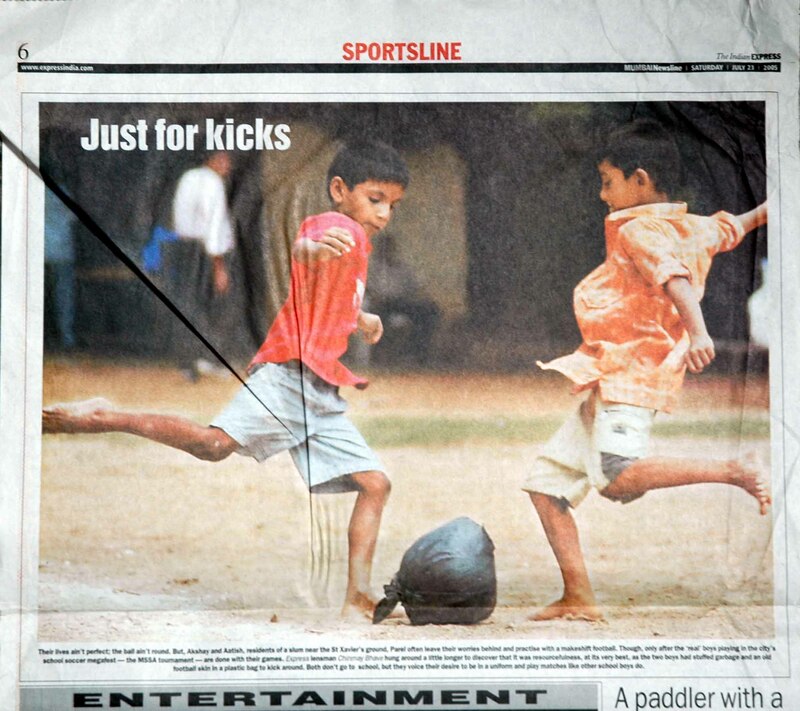 Thanks to Photo Editor Neeraj and sports editor Sudhir … we published this half page…I tried to capture their energy, freshness and the urge to play like normal school going kids. Several readers responded warmly and these two kids were awarded a school football scholarship. We all know the power of visual communication and its impact on social processes but it was a very intimate personal experience for me to be part of that small story of change. Being able to attend school is something I always took for granted; but seeing these two kids over a couple of years and the transformation in their persona gave me the conviction to work in the domains of visual storytelling and affordable education.